I’ve been away from this blog for two weeks! My bad. The past two mondays were holidays over here and I was away from the computer all day. BUT NOT TODAY. 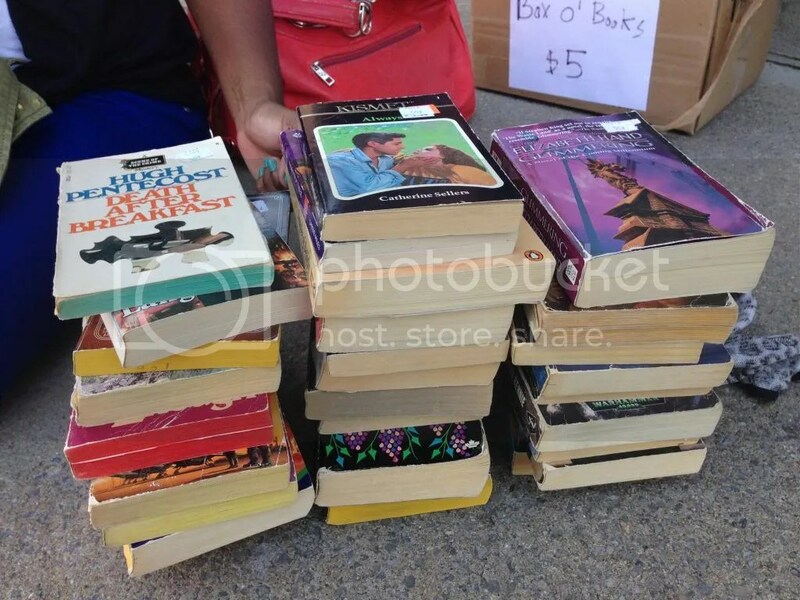 What are your thoughts on used books/used-book shops? Personally. I think they’re freaking awesome! There are so many awesome finds if you’re patient enough to browse through everything. Meli, Michelle, and I went to a used-book shop a while back and there was an offer that caught my attention. and inside was a bunch of random books. The majority of them were extremely cheese-y romance novels that I’m totally not into haha. But Meli grabbed a few that interested her. The books I was interested are parts of a series so I’m probably going to look for first part before delving in. Have you done this kind of thing before? What kind of books did you get if you did? 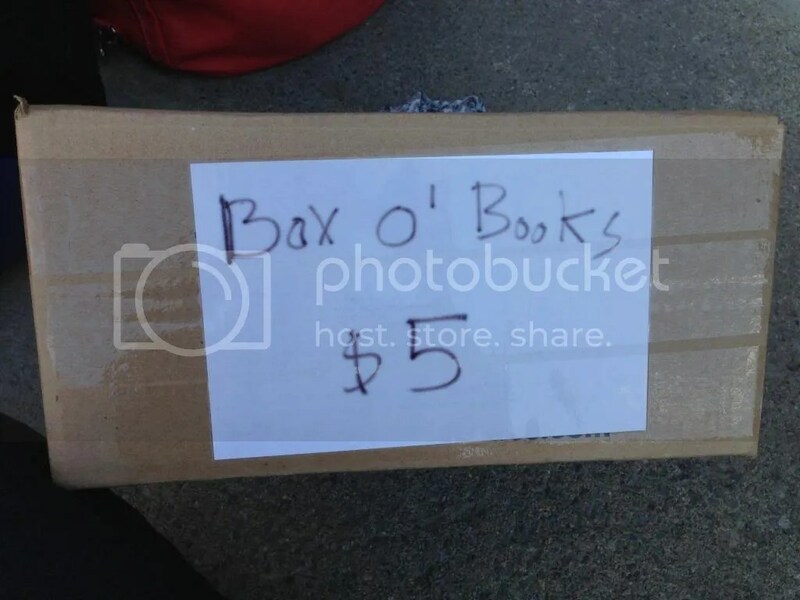 This entry was posted in 2013, Personal and tagged Book Blog, Books, box of surprise, Sam, used books by dreamingwithink. Bookmark the permalink.